When Salesforce began in a San Francisco apartment 18 years ago, who would have imagined that today more than 150,000 customers would trust Salesforce to drive sales, service, marketing, and more every single day? In fact, every month, our customers facilitate more than 50 billion interactions powered by Salesforce. 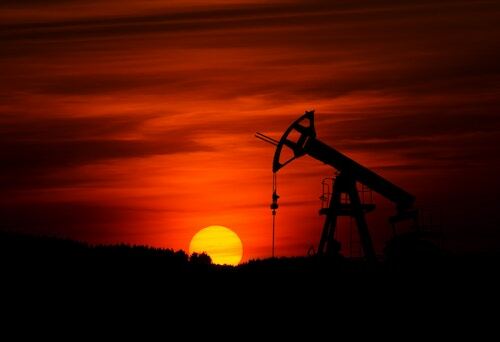 Our success is measured by our customers' success and their wins — both big and small — every single day. 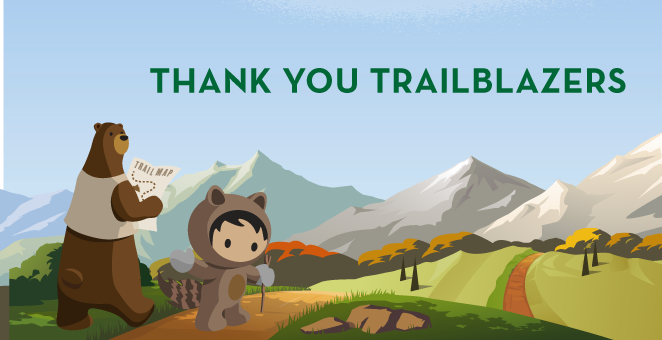 We sincerely thank our customer trailblazers for continuing to grow their companies and their careers with Salesforce technology. Putting our customers first is our mission, and that's led to a lot of other firsts. 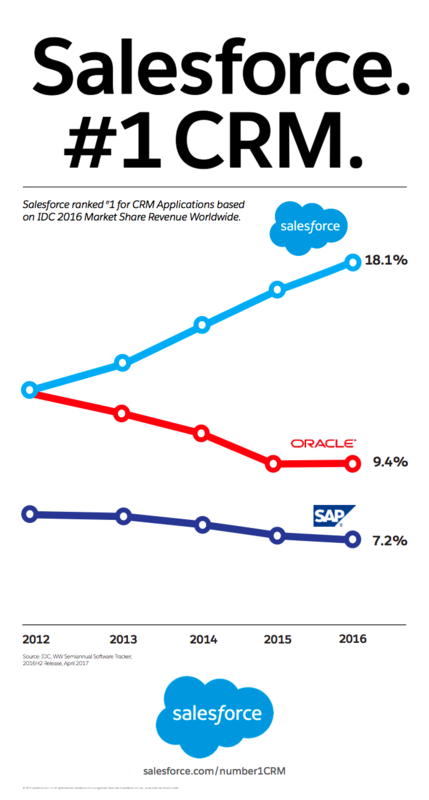 Earlier this year, Salesforce was named #1 in CRM Applications market share from the International Data Corporation (IDC) in its latest Worldwide Semiannual Software Tracker — in fact, it's the fourth year in a row Salesforce has achieved this honor. Salesforce increased its market share in 2016 by more percentage points than the rest of the top ten CRM Applications vendors combined. IDC also ranked Salesforce #1 in 2016 market share for sales applications, customer service applications and, for the first time, marketing applications. With a portfolio of products — spanning sales, service, marketing, commerce, communities, analytics, IoT, and app development — all on a single trusted cloud platform, companies of every size and industry rely on Salesforce's Customer Success Platform to connect with their customers in entirely new ways. Salesforce brings all of your customer data — even legacy data — together to deliver a 360-degree view of the customer across your entire business. Plus, automatic upgrades three times a year means that customers always have the most up-to-date version of Salesforce, along with all customizations and partner apps intact. But Salesforce isn't just reimagining CRM for today's digital world — it's preparing companies everywhere for a more intelligent future. In 2016, Salesforce introduced Salesforce Einstein, making the world's #1 CRM also the world's smartest CRM with artificial intelligence. With Salesforce Einstein, each customer interaction across sales, service, marketing, commerce, and more can be smarter, more personalized, and predictive. Powered by AI, CRM can work smarter, not harder and enable more productive, impactful decision-making. As part of our mission to democratize AI for everyone, we've also empowered developers to build AI-powered apps with Einstein Platform Services, and we are so proud of their achievements. Today, more than 7,000 developers of all skill levels are already bringing Einstein's computer vision and natural language processing capability to their CRM apps. We thank our community of customer trailblazers for driving success with Salesforce every single day. 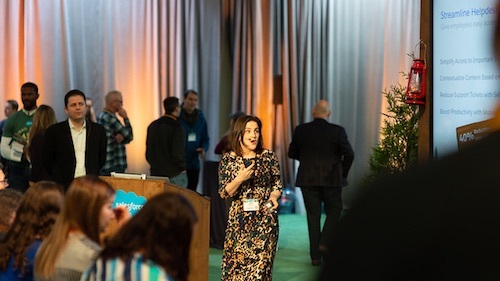 Our innovative customers are key in telling us what they need to transform their business, and we are constantly inspired by their ability to take Salesforce to new heights. To learn more about why Salesforce has been named #1 CRM, and how more than 150,000 customer trailblazers transform their business with Salesforce, click here.